With this cold weather and dramatic snowfall, I feel like I’ve been spending a lot of time reading the news over the last couple weeks. Fortunately, Toronto real estate and the housing market has been a hot topic, especially along the lines of affordability. 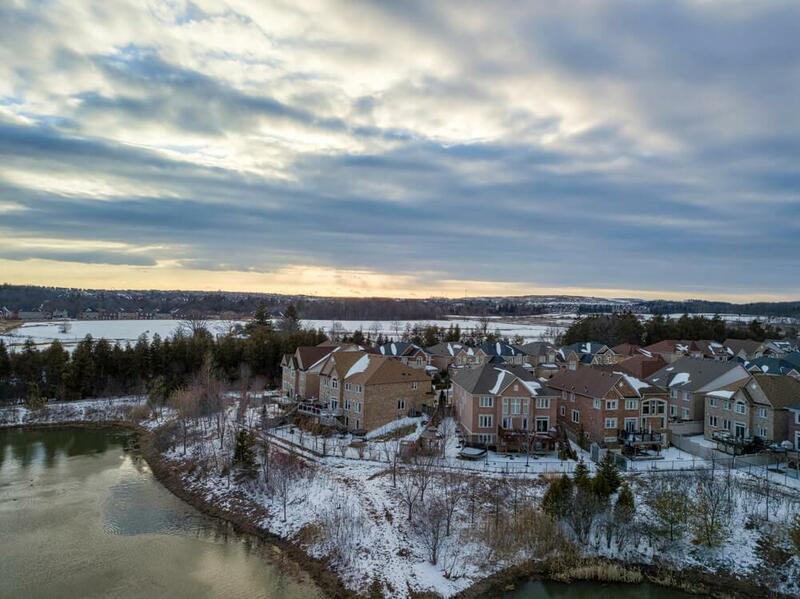 In the Greater Toronto Area resale market, condo prices shot up around 10% as of the end of 2018, according to the Toronto Real Estate Board. On a quarterly basis, the average price was $558,728 in the last three months of last year. The average detached home in Toronto will still cost you more than $1 million, and you’re only paying slightly less in the 905 area. Clearly, measures need to be taken in order to ensure more families across the GTA and Ontario are able to afford to own or rent a suitable home for them and their family. The difficult part is attempting to accomplish this without causing a sharp correction. Families who currently own their homes also deserve to feel confident and safe in their investment. In Bloomberg, I read about how housing minister Steve Clark began consultations this month in an effort to figure out a way to give municipalities more power and flexibility to control their housing developments. It can take up to 10 years to complete a development in Toronto, according to the Building Industry and Land Development Association. That’s obviously unacceptable as demand continues to outpace supply year after year. The Ford government will be attempting to remove some of the red tape that builders and developers encounter, which should speed up the process, resulting in relatively more affordable new homes on the market. The article goes on to point out that it’s unclear whether these changes would help avoid infrastructure delays. After all, housing can only be built in serviceable areas, so housing development can only progress as quickly as infrastructure will allow. Vancouver is experiencing some success with the empty homes tax. The city expects to collect $38 million from the first year of the tax. That said, vacancy is still tight, so while it may not have made more homes available, it generated some money, which could go towards supporting affordable housing. Now, the mayor of Vancouver, Kennedy Stewart, is talking about tripling the tax. Toronto briefly discussed the possibility of a vacant homes tax, but it never really went anywhere. There’s an estimated 15,000 to 28,000 vacant homes in Toronto. A survey by TREB found that 37% of secondary property owners would sell their home and 36% would rent it out. That means thousands of units would hit the resale and rental markets if there was a vacant homes tax. All that said, it could dissuade some investors from buying, which could slow the new home market and hinder the rental market in the long-term. You probably read about this one. NDP leader Jagmeet Singh said he wants to build 500,000 new affordable housing units across Canada over the course of 10 years. He didn’t say how. He also wants to double the size of the first-time home buyers’ credit from $750 to $1,500. The most interesting thing Singh brought up was the idea of subsidizing households spending more than 30% of their income on rent. I have no idea how much this would cost, but it can’t be cheap. In my mind, I imagine every millennial in Toronto is paying more than 30% of their income on rent. I’m not completely brushing off the idea, but more details are definitely required before shaping an actual opinion. I feel like I’ve been writing about housing affordability challenges in Toronto for years now. I know real estate pundits have been saying that Toronto is following in New York’s footsteps, but now I’m really starting to believe it. If something doesn’t slow price growth soon, we’ll be looking at per square footage prices hitting $1,500 to $2,000 in a matter of years.